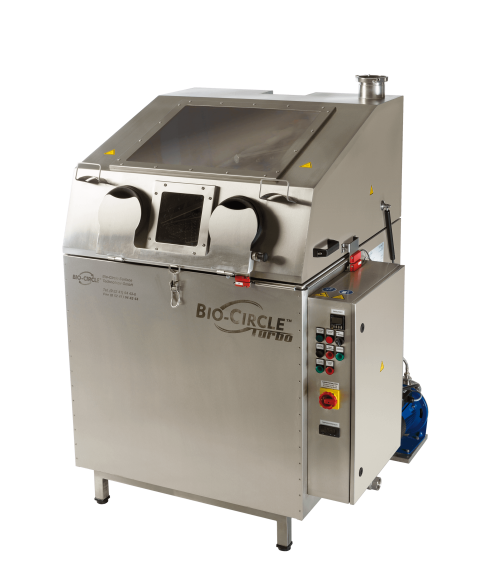 The BIO-CIRCLE Turbo Stainless Steel – the efficient combination of fully automated and manual cleaning with the biological BIO-CIRCLE L Turbo cleaning fluid. Due to the spinning rack and the high spraying pressure the BIO-CIRCLE L Turbo can act optimally on the parts to be cleaned. For fast and accurate manual cleaning, the flow brush or the nozzle can be used instead of automatic cleaning mode.